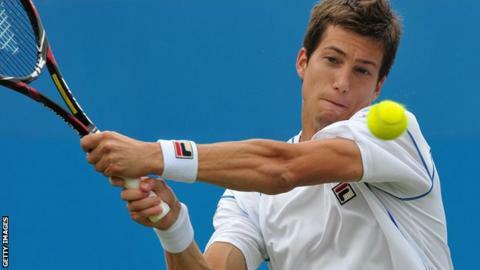 Slovenia-born Aljaz Bedene has won his first title since becoming a United Kingdom citizen. The 25-year-old beat Czech Adam Pavlasek 7-5 6-2 in the final of this week's Challenger Tour event in Rome to secure his 10th tournament win in the second tier of world tennis. Bedene, who has lived in the UK for seven years, is ranked 89th in the world and is British number two behind world number three Andy Murray. He was granted UK citizenship in March. Bedene hopes to represent Great Britain in the Davis Cup and is appealing against the rule preventing players from representing two different countries in the competition.